Where is your phone, right this minute? If you’re like most smartphone users, it’s likely right next to you, or you’re currently reading this article on your smartphone. It may even be safe to bet that you’re reading this because you searched something like “creating content for micro-moments” on Google. If you have this eerie feeling that someone’s been watching you, don’t be too concerned, yet. Content marketing is simply catching on to the idea that throughout every day there are opportunities to engage with audiences through micro-moments. 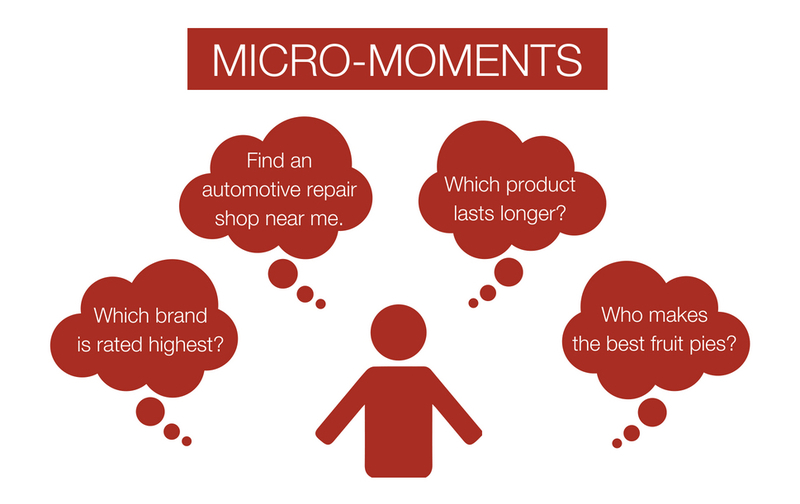 You may not have called them micro-moments, but you are familiar with them. 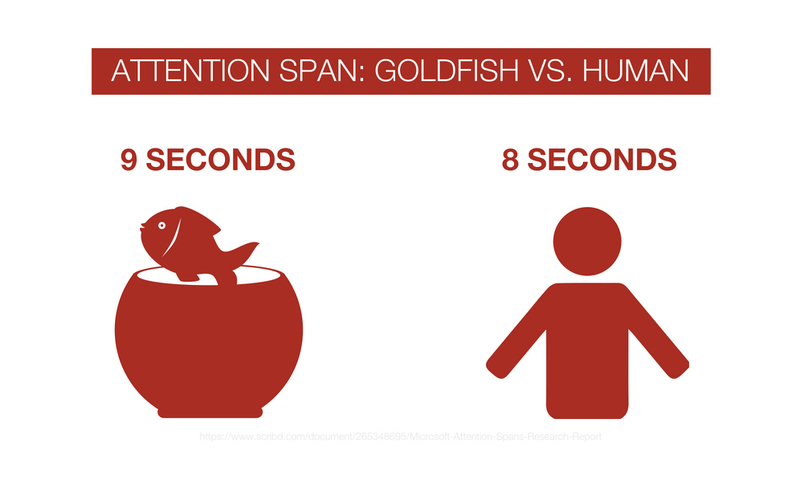 Micro-moments are the spur-of-the-moment searches that consumers engage in to gather information. These little searches may have irritated you before you got a smartphone, but you hadn’t even made it through the door of the Apple store before you unwittingly joined the ranks of people who prefer a quick answer from Google to a ponderous discussion or possibly never finding an answer. It turns out that there are few left in the crowd to be annoyed with those in-the-moment searches, because approximately 96% of people immediately turn to their smart phones when they want to inquire about something. You’ve done this just today, haven’t you? That actor that made a cameo and you can’t remember their name; your daughter asked you to put a fishtail braid in her hair and you need an instructional video; you can’t remember if it’s better to water your grass in the evening or the morning. These are micro-moments. Know your customer: This goes beyond analytics and demographics. This drills down a little deeper, to find out what kinds of questions your audience asks, and what types of needs they may have that your product or service can answer. Think about the kinds of searches that might lead to your company for a solution. You also need to anticipate the micro-moments that give your brand a way to connect with customers. If you’re a local bank, you need to think about how a customer’s online experience could lead them to your door. When someone is near your bank, and need banking services, what kinds of searches do they perform? Invest in search engine optimization (SEO): In order to capture micro-moments, you’ll need to rank high on search results. Spend some time on your SEO and see how your keywords, distribution strategy and website design are each contributing to your ranking on Google and other search engines. When that customer needs banking services and they’re a block or two from your bank, your name should be right on top of the search results. 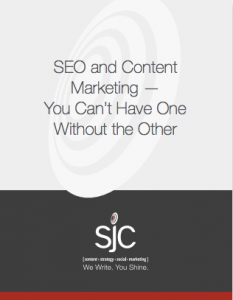 Create relevant content: One of main ways you optimize your SEO is with great content. Creating content that adds value will cause your site to be the go-to place for information in your industry. In your content, you need to provide the answers to the questions your audience is asking, and it needs to be in an easily digestible format. 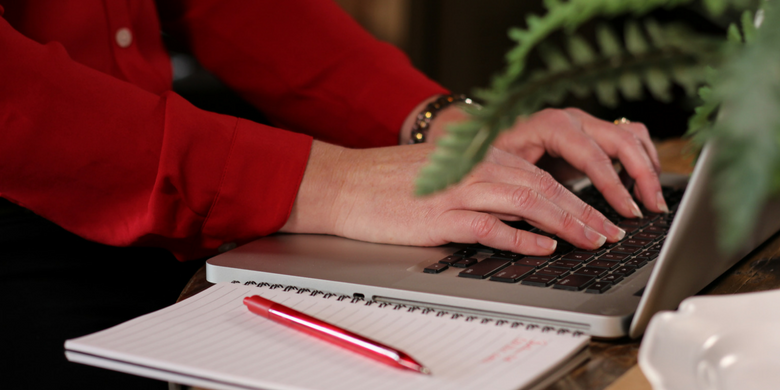 That doesn’t mean that every piece of content must be a short-form video, but if you’re writing a blog, break the information into steps, bullet points and include some images to help the consumer grab the idea and get the information quickly. Content marketing is about the experience: Even if you’re ranking number one on Google for “banks near me” on a two-mile radius, you’ve got to focus on the customer’s experience with your content in the micro-moment. Otherwise, it’s all too easy for them to back out of your site and go directly to the second search result to get directions to your competitor. This means you’ve got to make it easy for them to answer their questions in a micro-moment. Don’t ask them to fill out a long form or take a survey to access your content, but eliminate as many steps as possible to make it easy to get what they want. Make product information, directions to your location and instructional videos easy to find on your site. And don’t forget loading time; your site should come right up, both in order to rank well on Google and to keep visitors from bailing out. Creating content for micro-moments means understanding the customer and the moments that cause them to reach for their smartphone. Making sure you’re ready to capture the opportunity in those moments is what SJC is all about! Contact us to talk about your content marketing plan and where micro-moments fit into your overall strategy.